Laurel Oaks is a community of town homes in the highly desirable Palm Harbor area. 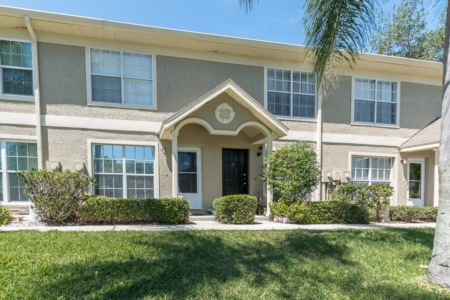 This immaculately kept community of Laurel Oaks features single family townhouse style condos for sale with two and three bedrooms and attached garage. Homes for sale in Laurel Oaks range in price. Vaulted ceilings, skylights, open staircases and open floor plans give way to bright and sunny living in your home at Laurel Oaks. Lofts, screened patios, fireplaces, and built in shelving and desks are just some of the custom features found in Laurel Oaks. Spacious town homes in Laurel Oaks provide over 1000 to almost 3000 square feet of living area with walk-in closets, utility rooms, and plenty of storage including attic space. A monthly maintenance fee takes care of your water/sewer, pest control, trash removal, lawn care, cable, building exterior, escrow reserves, and building insurance. Homeowners also enjoy use of the a beautiful and sparkling community pool and well maintained tennis courts. Conveniently located on Curlew Road west of Belcher Road at Laurel Oaks you will enjoy Florida living at its best with the Gulf of Mexico and sandy beaches just minutes away. Walk and bike along the Pinellas Trail. Picnic at Honeymoon Island State Park or visit one of the many other county parks nearby. 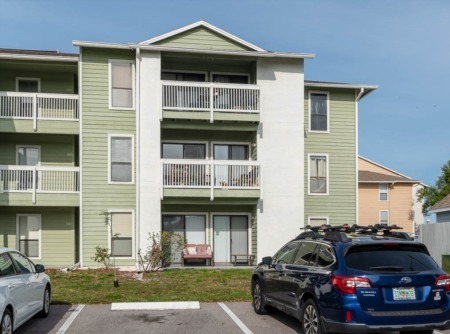 Near to all recreation, shopping, and restaurants as well as top schools in Pinellas County, Palm Harbor Library, and the north Pinellas YMCA are also close by. Don't miss the opportunity to own this immaculate and beautifully designed 2 bed/2 bath second floor condo in the highly desirable community of Laurel Oaks. Selling your Home in Laurel Oaks? If you are thinking about selling your home Lipply Real Estate would love to hear from you. We have created a strategic marking plan to best fit the needs of our customers and we are confident we can help you make the most out of a possible sale. Call us today and set up a meeting directly with one of our agents or enter your information in the form down below.